FRANKFORT, Ky. (June 26, 2017) — Agriculture Commissioner Ryan Quarles reminds motorists to watch for signs of tampering on motor fuel pumps as credit card thieves gear up for the Fourth of July and the traffic-heavy summer travel season. Pay attention when you use fuel pumps and report any tampering to the attendant. 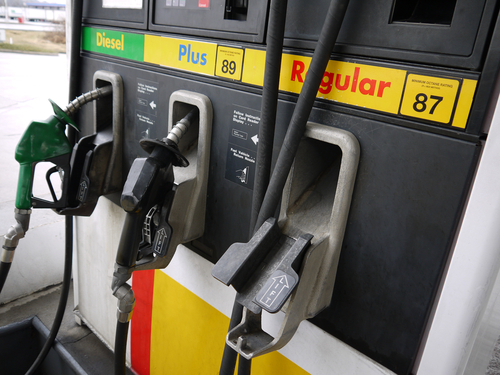 Kentucky Department of Agriculture (KDA) inspectors have discovered four card skimmers while inspecting more than 20,000 motor fuel pumps across the state so far this year, Commissioner Quarles said. For the second straight year, KDA inspectors are looking for evidence of tampering with fuel pumps in addition to their regular duties, at no additional cost to taxpayers. KDA inspectors check gas pumps to make sure they are in proper working order and test them to ensure that the amount of fuel dispensed matches the amount shown on the pump. Jason Glass, assistant director of the department’s Division of Regulation and Inspection, said consumers can help themselves by looking for signs that a pump has been tampered with, such as locks that appear to have been compromised or have a key broken off in the lock, doors that may have been pried open, and security tape that is broken or doesn’t adhere to the pump. To submit a report to the KDA, call (502) 573-0282 or email ag.web@ky.gov with the retailer’s name and location, the pump number, and the fuel grade.